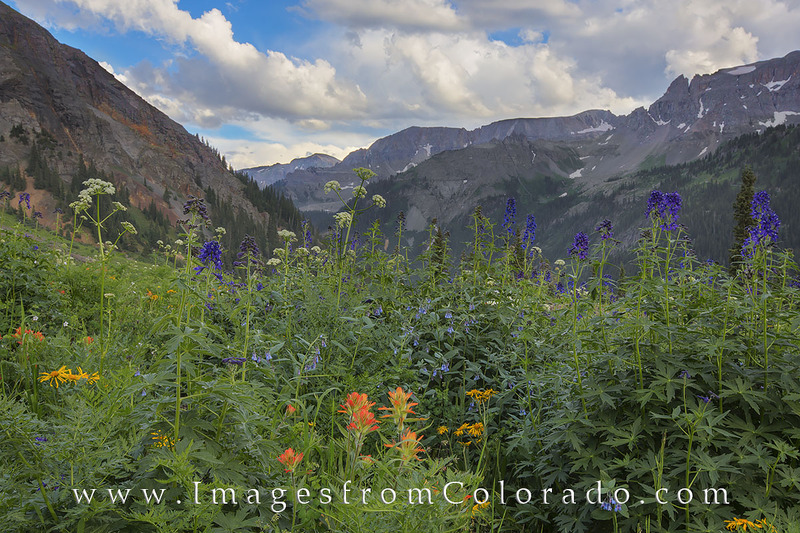 Late afternoon clouds drive across the San Juan Mountains as wildflowers sway in the breeze at Yankee Boy Basin. This location is famous for summer blooms and is a short drive from Ouray, although you may need a 4WD to reach this point as you make your way up the dirt road towards the trailhead for Mount Sneffels. Photo © copyright by Rob Greebon.